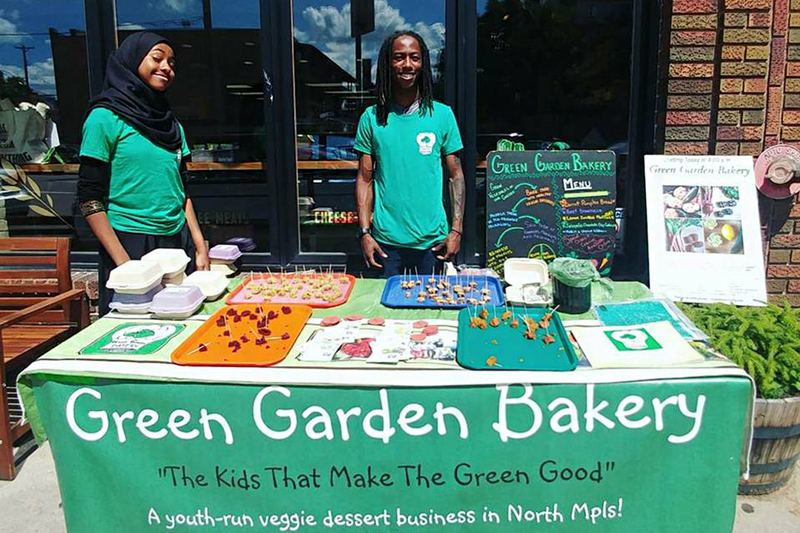 Green Garden Bakery offers delicious, plant-based treats, entrepreneurial skills, and community support to an underserved neighborhood—all while the staff attends high school. Vegan beet brownies, jalapeño chocolate chip cookies, and gluten-free lemon zucchini muffins sound like items that might grace the pastry case of a third-wave coffee shop in Seattle, or maybe the menu at a farm-to-table café in New York City. 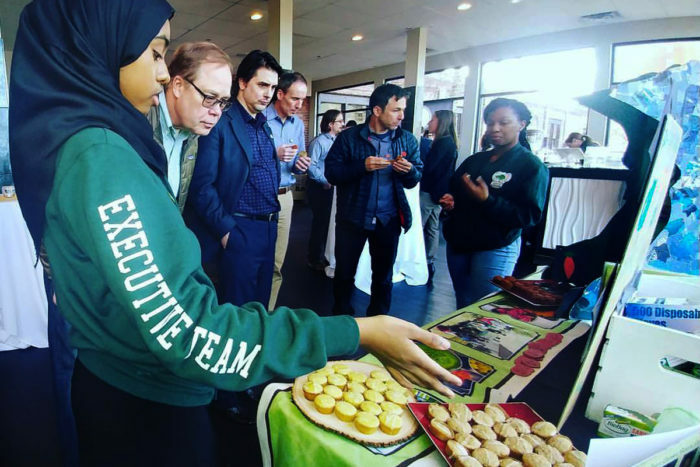 But these creative, plant-based baked goods come from Green Garden Bakery in Heritage Park, the Minneapolis neighborhood with the city’s lowest average income and highest unemployment rate. In response, the bakery is selling its vegetable-based baked goods using a pay-what-you-can business model. And its support of the community doesn’t end there: One-third of Green Garden Bakery’s profits are donated to community organizations, providing camp scholarships for local students, sponsoring an adult exercise class, and purchasing security systems and groceries for families in need. There’s something else that makes the business truly remarkable: Each of the founders and everyone on the executive team—including Ahmed—is a teenager. 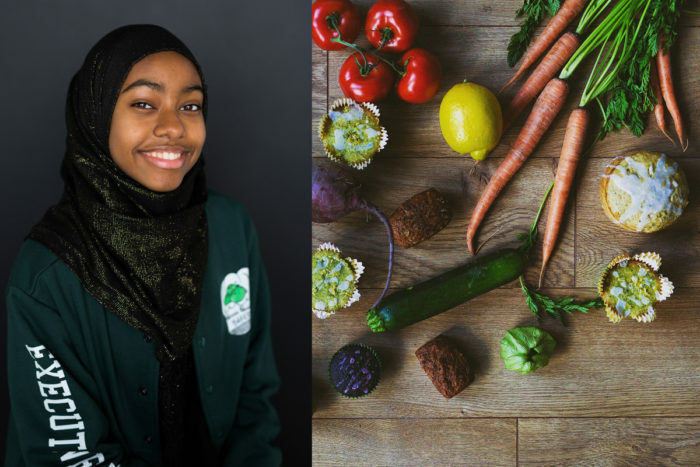 In addition to Ahmed (age 17), the members of the executive team are entrepreneurship chair Maya Gray (16), urban agriculture chair Jasmine Salter (17), merchandise chair Jy’Mar Mitchell (16), lead baker Raniya Shiekh (16), sales lead Sadrea Dobbins (16), social media specialist Jacobi Simmons (18), and head of online sales/catering Arafat Ahmed (16). The bakery was conceived as a fundraiser in 2014 after a classmate was injured in a car accident. A group of friends decided to use skills honed in a community cooking class to bake green-tomato cakes and sell them at a local fair. The goal was to raise $500; when they ended up earning over $1,500, the teenagers realized they had a business opportunity on their hands. “We had no model, no business plan,” says Ahmed. The group decided to donate $500 to their friend and invest the rest in a new business, making baked goods and selling them at a nearby farmers’ market. Eventually, they branched out to other farmers’ markets, then to pop-up events, and then to an online marketplace. (There is no brick-and-mortar storefront.) The group is constantly working to develop healthier versions of their recipes, and some items can be made vegan, gluten-free, or sugar-free upon request. Green Garden Bakery joins a number of similar projects that have taken off around the country, including The Ceres Community Project in Northern California, teen internships offered by Cultivating Community of Maine, and Learn It Grow It Eat It in New York City. 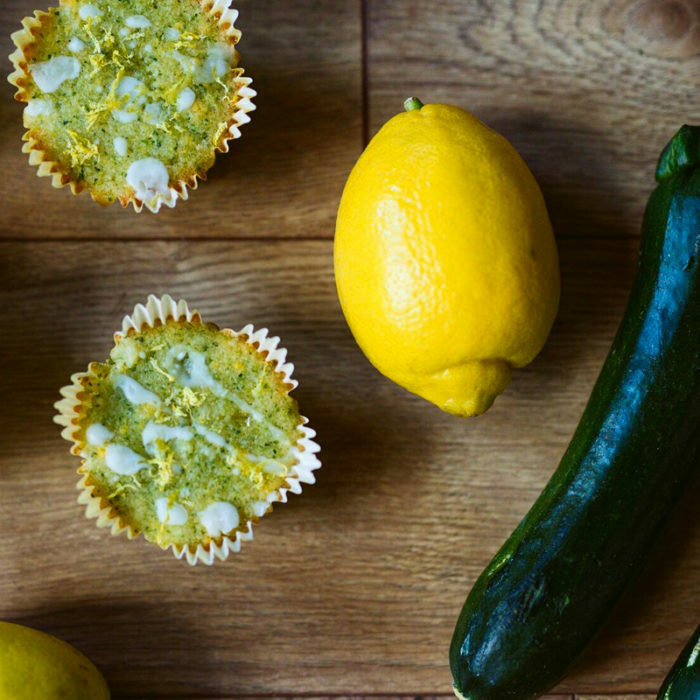 The Green Garden Bakery group grows the vegetables used in their baked goods—beets, carrots, jalapeños, pumpkin, zucchini, and tomatoes—as well as vegetables that are used for baking experiments, children’s cooking classes, and donations to the community. 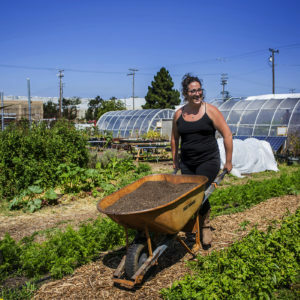 They glean additional vegetables from other local, pesticide-free urban farms. Ahmed goes on to explain that the bakery also provides programming and leadership opportunities for local youth. Currently, over 150 neighborhood K-12 students are involved with its youth programming. 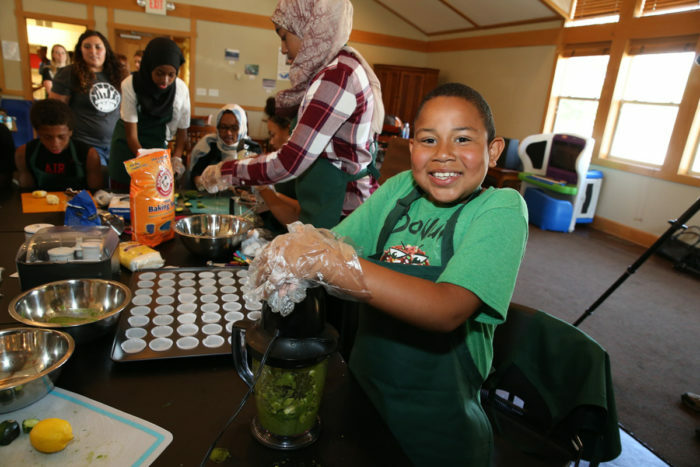 For example, Ahmed teaches third- through sixth-graders about food safety and basic cooking skills. She says that one of the most popular aspects of her class is a competition in which the students make savory and sweet baked goods and then pitch their products to the office staff at the community center where the classes are held. Photo courtesy of Green Garden Bakery. “Our jalapeño chocolate chip cookie was actually developed in one of those competitions,” says Ahmed. After some refinement, it’s now one of the bakery’s best sellers. After sixth grade, students can join the bakery’s workforce program and have the opportunity to train in all aspects of the business. This includes growing vegetables in community garden plots, baking at a shared commercial kitchen, and staffing farmers market booths, where they sometimes have to convince skeptical children to give the vegetable-packed treats a try. Green Garden Bakery also prioritizes environmental sustainability. Vegetables are grown pesticide-free, packaging is compostable, and all advertising is paperless—with the exception of the bakery’s business cards, which are made from recycled seed paper and can be planted to grow tomato plants. As it has expanded from a one-off fundraiser into a full-fledged business, an ongoing obstacle for Green Garden Bakery is the lack of its own kitchen space. Currently, baking is done in a shared commercial facility that’s an inconvenient 45-minute bus ride away from the Heritage Park neighborhood. The bakery has had to turn down offers to expand into wholesale because it simply doesn’t have the capacity to bake at that scale. However, a solution is the works. After receiving a $150,000 grant from an anonymous benefactor and completing a successful crowdfunding campaign, Green Garden Bakery is expanding an existing community center kitchen into a licensed commercial facility. The renovation will dramatically increase the kitchen’s footprint (currently, there’s a single range and minimal prep space) and will include a hood for a fryer. Ahmed says she hopes that the kitchen will be a resource for the surrounding community and that access to a commercial kitchen space will help other local food entrepreneurs. The planned commercial kitchen and expansion into wholesale will allow Green Garden Bakery to involve more community members in the business and make it more sustainable, and they also plan to expand the catering and online components. 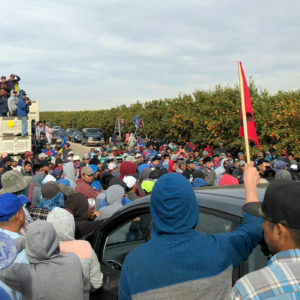 They’ve faced a number of logistical issues in scaling a business as a group of teenagers; for example, not being able to work during school hours and not being able to drive. A nearby commercial kitchen space and additional adult involvement will help with some of those challenges. Currently, Green Garden Bakery receives financial support from Urban Strategies, Inc., a nonprofit that provides youth programming, and additional business support from a 15-member adult advisory board and its many volunteers. Like any responsible business leaders, Ahmed and the other members of the executive team have even created a succession plan: a team of junior executives are currently shadowing their positions. In addition, they plan to create an alumni board so that they can serve as mentors after they graduate from high school. He describes Green Garden Bakery as “a transformative-looking education model,” noting that gardening can teach students of all ages about botany and biology. When combined with the bakery’s business component, the educational opportunities multiply. 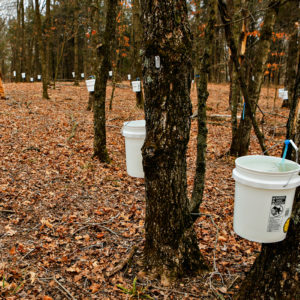 “It’s exciting to see food production have a meaningful impact on kids’ lives,” Schweser says. Eventually, the students would like to see the bakery expand into a storefront. In the meantime, they appreciate the sense of family and community that the business has fostered, and they try not to work on Thursdays so that they can go out together. Great to see young people pursuing business ownership and healthy living all at once. Ran into similar company in PA this weekend selling keto friendly cookies. theburningcookie.com Nice young girl looking to get out of office and produce healthy snacks for a living.